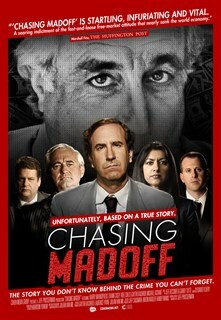 Chasing Madoff is the compelling story of Harry Markopolos and his team of investigators' ten-year struggle to expose the harrowing truth behind the infamous Madoff scandal. Throughout the decade-long investigation, Markopolos pieced together a chain of white collar predators consisting of bankers, lieutenants, and henchmen, all linked to the devastating Ponzi scheme. With risk and danger apparent, Markopolos and his loyal team relentlessly continued to pursue the frightening truth. Finding himself trapped in a web of epic deceit, the once unassuming Boston securities analyst turned vigilante investigator now feared for his life and the safety of his family, as he discovered no one would listen.